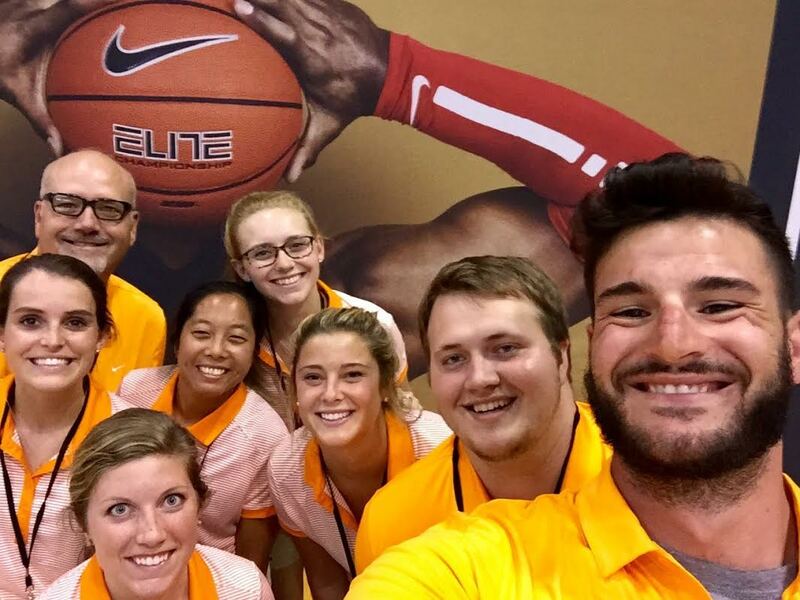 This summer, I have had the opportunity to work at a few athletic events outside of my summer field experience. 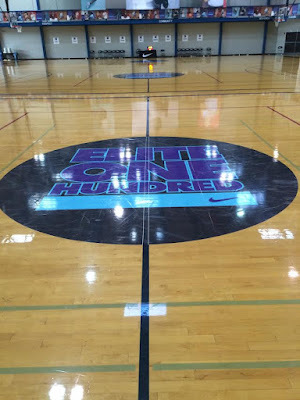 I have been fortunate enough to work alongside my classmates, professors, and other health professionals at the Nike Elite 100 basketball camp and the USA Gymnastics Olympic Trials. 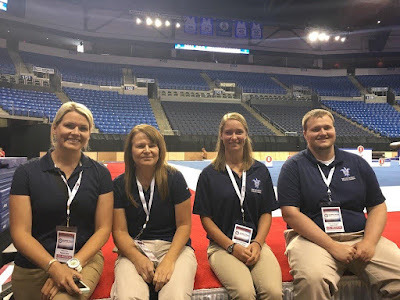 Both of these events were held on the campus of Saint Louis University and the SLU Athletic Training Program played an integral role in providing health care at these events. At the Nike Elite 100 camp, I was fortunate to get to work with many of my fellow classmates. Through this experience, we were able to put many of the skills we have learned in the classroom into actual practice. It’s amazing to see how far we all have come in the past year. Just last year we were learning about the body’s structures in gross anatomy, and now we are able to use our knowledge to provide treatment and care to injured athletes. At the camp, we took player measurements such as weight, height, wingspan, and reach. We also were available to tape players before each playing session. 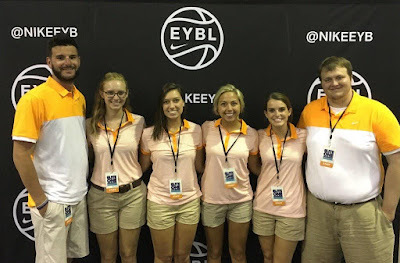 When the players were on the court, we stood courtside in case an injury occurred and when one did, we used our injury assessment skills while under the supervision of our professors. Getting to work alongside all of our professors was one of the best aspects of this experience. Over the past four years we have been able to learn from their expertise, but through this camp we were allowed to see them use their skills in real life situations. I was lucky enough to spend a few days at the USA Gymnastics Olympic Trials at Chaifetz Arena. At this event, our program played a supportive role to the USA Olympic Medical Staff. It was a joy to get to see the techniques used by the medical staff to help the hopeful Olympians to compete at their best. This experience also gave me the opportunity to network with athletic trainers and physicians from across the country. 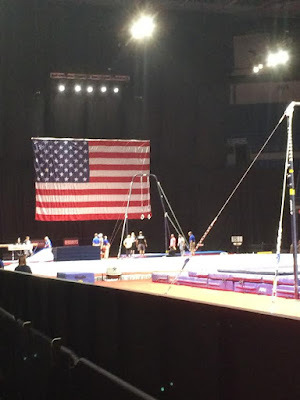 I was able to ask about how they became involved with the USA Gymnastics Team Medical Staff and the journey it took to get to such a position. 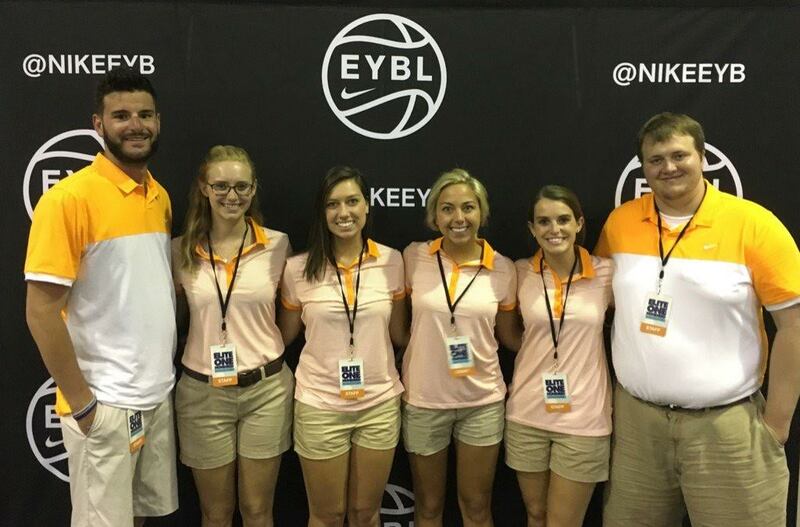 Additionally, this opportunity gave me experience with a sport that I do not get to cover in my typical clinical rotations. 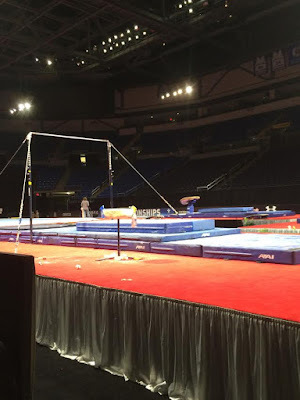 Through both the Nike Elite 100 camp and the USA Gymnastic Olympic Trials I have been able to assist elite level athletes. I have gotten a glimpse of the athletic training services these athletes need in order to achieve success. It is experiences like these that help the Saint Louis University Athletic Training Program stand out as one of the best in the country.